Time for a zombieeeee, raaaaawwwwrrr! It'll be Halloween before you know it! 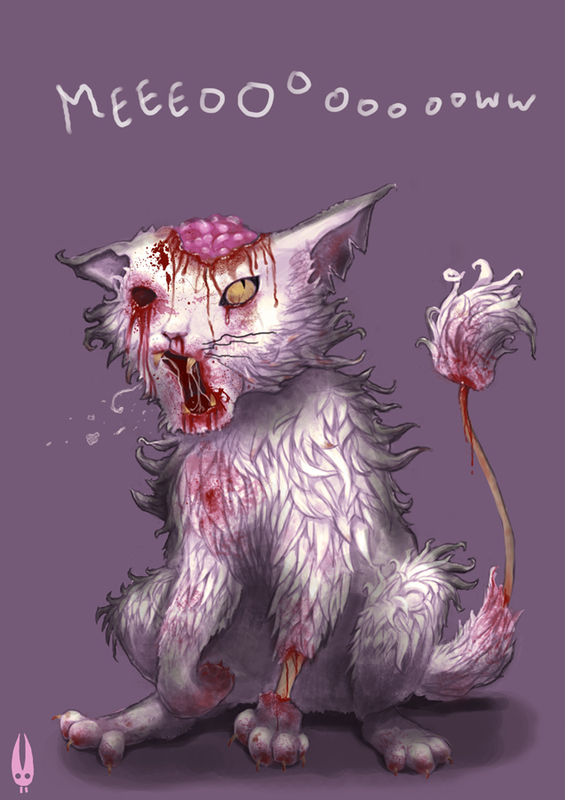 I fancied drawing a zombie version of my cat Chalky, aawww :3 I'm sure he'd appreciate it, I mean it is rather flattering, right? ?